We are practicing Consulting Structural Engineers Project Management Consultants in Vasai-Virar Region. Our company with its past several years of satisfactory services has made a renowned name and fame in the industry for service providing. Our company engaged with the most efficient services for much wider comprehension of several cost estimating. We offer our customer a high grade quality services with easily affordable cost. We provide following Cost Estimation services in strict confidentially to our CUSTOMERs with guaranteed accuracy & timely delivery. We conduct valuations of properties such as land , buildings and other structures for purposes of buying / selling , taxation and so on. 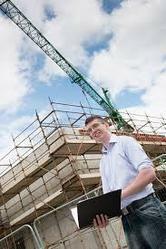 We undertake civil and structure estimation and costing for all types of structures. Every building has its price. Accurately forecasting the cost of future projects is an important skill for civil engineers and cost estimators. Our course on Building Estimation and Costing, based on Autodesk's Quantity Takeoff software, can help engineers and estimators make material costing faster, easier, and more accurate.